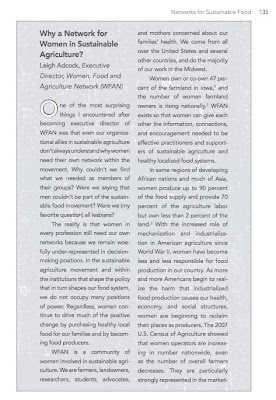 What Farmer Jane continues to point out is that women have largely been behind (and in front of), the sustainable food and farming movement all along - something that the Women, Food and Agriculture Network has known since the organization's inception in the late '90s. Co-founded by a farmer in Iowa, Denise O'Brien, the network continues to thrive today with all the purpose in the world of connecting the growing movement of women that are coming forward to call themselves farmers. That's right. Even though women have been farming since the advent of modern day agriculture when people transitioned from hunting and gathering to staying in one place and cultivating the land, they haven't always considered themselves farmers. Nor has the USDA considered them as such. That's why women farmers are filing a class action suit against the USDA as we speak - because women were not given the same access to grants as men. Similar to the African Americans recently won battle, other classes of people are stepping forward to call out the injustice. 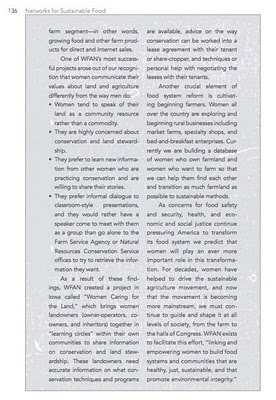 The tricky part is that women farmers are having a challenging time getting "class" status to file. 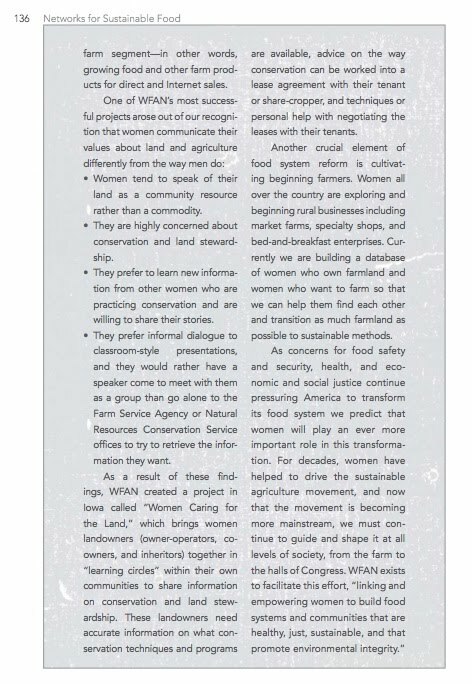 Because women farmers have not been given the same access to information, resources, or networks as men have in the past, the Women Food and Agriculture Network is providing the great service of giving women a voice. And on January 29, the Network will convene for their annual gathering. In honor of this, I'm posting the contribution that Executive Director, Leigh Adcock, wrote for "Farmer Jane." 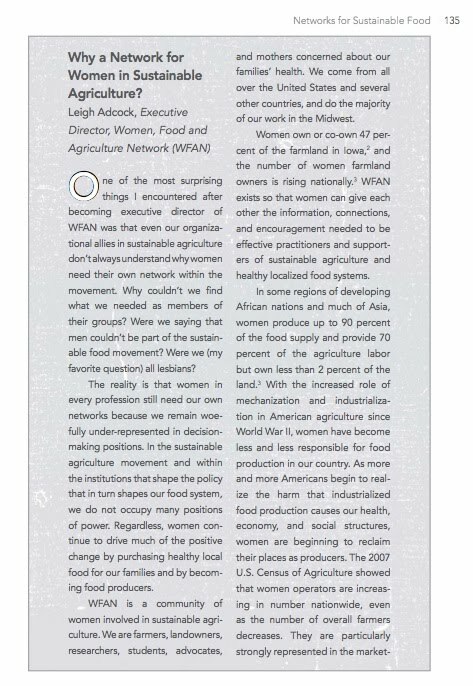 This piece not only explains the significance of the Network, but also articulates in more detail why a Network for women and the movement of women in food and agriculture is as relevant as ever.